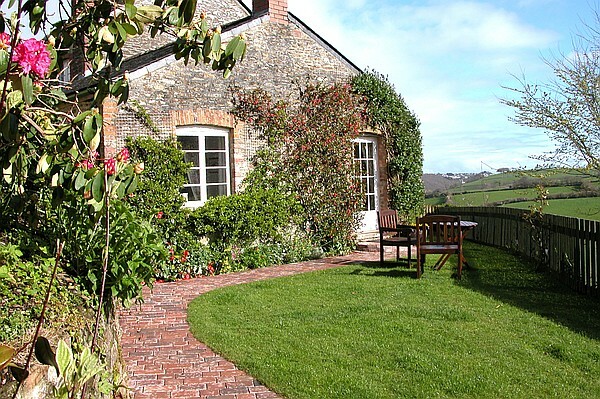 A luxury romantic cottage surrounded by 150 acres of stunning Cornish farmland. 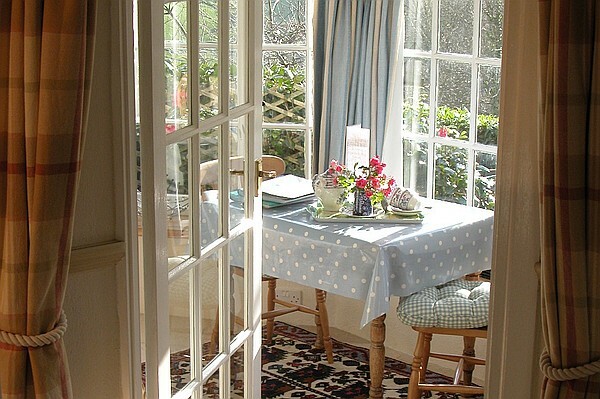 Honeysuckle Cottage is situated on the Treworgey Farm which boasts stunning views over the Looe River Valley and rolling countryside. 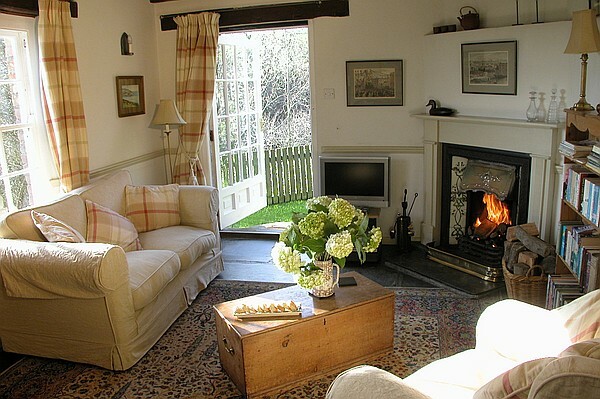 The Farm has a number of holiday cottages all of which have been renovated and decorated to a very high standard, so much so that Visit England have awarded the cottages a 5 star gold rating. There is an impressive range of facilities on the farm including a heated outdoor swimming pool, information room (with Wi Fi and guest computer), horse riding, tennis court, playground and even catering services so that you can really escape the day to day routine. Honeysuckle Cottage is a charming character cottage and has many traditional features such exposed beams and open fireplaces. Sitting Room – with open Victorian fireplace, Cornish slate floor, loose-covered sofa and armchair, freeview TV, DVD and CD player. Kitchen – shaker style fully equipped kitchen with Cornish blue slate floor. Conservatory/Dining Room – charming intricate slate roofed room which can be used as a dining area or converted into a small child’s bedroom. 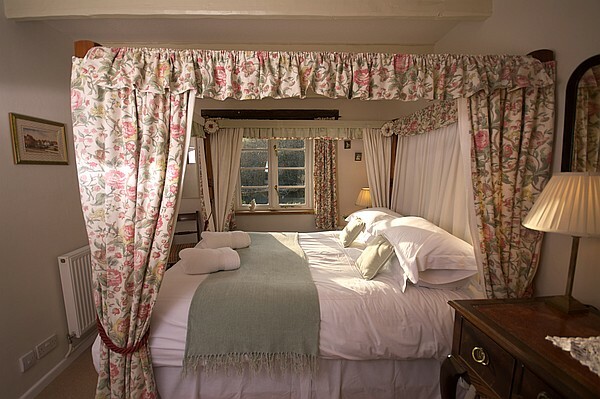 Bedroom – with mahogany four-poster king size bed and antique furniture. The cottage has a level, secluded cottage garden with stunning views over the farm and woodlands. During the summer months the garden has a BBQ, outdoor dining furniture and sun umbrella. The gardens provide a wonderful space to enjoy the local wildlife especially the birds. There is bird feed available in the Information Room . 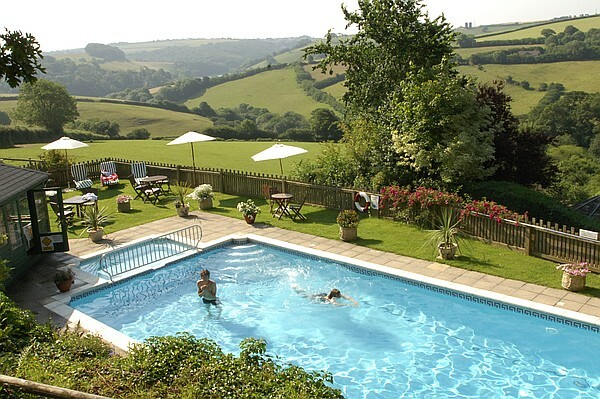 There is a heated outdoor swimming pool on the farm from which you can enjoy stunning views over the Looe River during the summer months when the pool is open. There are sun loungers and tables beside the pool as well as a paddling pool and playpen for younger children. Ice cream is even available from the honesty-box freezer. There are two playrooms on site with a selection of toys and table tennis. There is also an indoor sandy space ideal for playing volleyball or badminton or for younger ones to use as a giant sand pit with our buckets and spades. And finally there is a playground with climbing frame, swing, slide and ropes, sandpit and a Wendy House. Guests can use the all-weather hard surfaced Tennis court where you can enjoy a game of Tennis and as well as the beautiful views. You can borrow rackets and balls from the Information Room. All cottages have Wi-Fi access but there is also a guest computer and Wi-Fi in the Information Room but please note that the connection operates at rural speeds. Looe is 3 miles from Treworgey and is a picturesque Cornish fishing town. Here you can find several excellent restaurants, a selection of independent shops, fresh fish, beaches, and boats for hire. 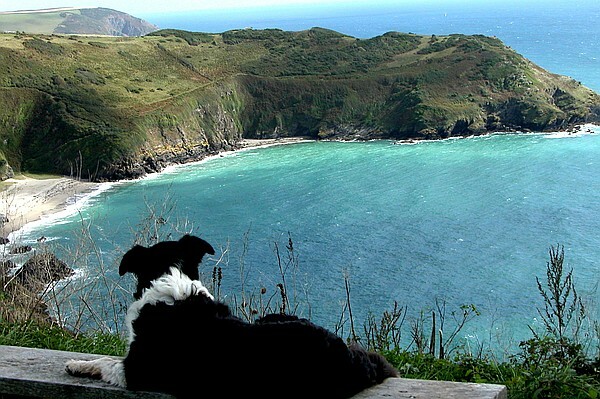 Polperro is a very popular fishing village just 6 miles from Treworgey. The views of the village when approached from the National Trust coastal footpath are stunning. Fowey is 8 miles away and is another very popular tourist attraction. The town and harbour are exactly what you would expect from a Cornish fishing town with a beautiful harbour and views as well as many interesting shops and excellent restaurants. The Eden Project is easily the most popular tourist attraction in Cornwall and makes for a brilliant day out. It is approximately 30-40 minutes from Treworgey. 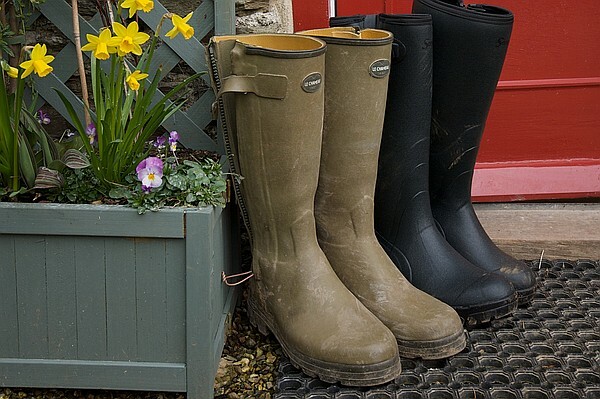 The Farm is ideally placed for you to explore some of the famous Cornish houses and gardens including the Lost Gardens of Helligan (45 mins), Lanhydrock (25 Mins) and Cotehele (45 mins). There are many beautiful walks on your doorstep around the 150 acres of Treworgey Farm taking in both open rolling farm and woodland. The South West Coast Path is visible on the horizon from the farm, from here you can explore the many beaches, coves and river walks. Bodmin Moor is under an hour’s drive from Treworgey Farm and offers further walking and outdoor pursuits. During the cooler months when our swimming pool is shut the indoor swimming pool at Liskeard (15 mins) has proved popular. Treworgey has its very own licensed riding school where lessons are offered in our all weather school each weekday morning. Beginners are welcome as are the more experienced rider wishing to brush up on their dressage and show jumping. 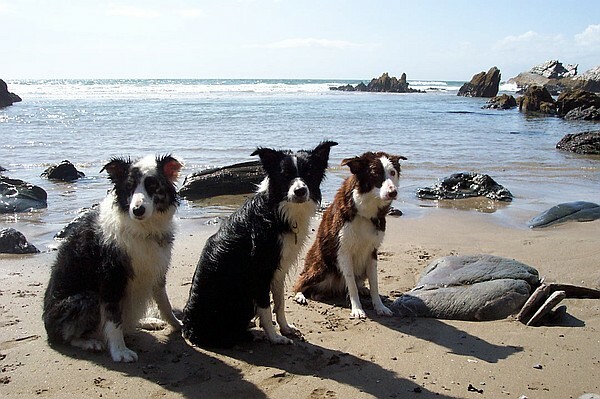 We specialise in pet friendly holidays including cats, tortoise, rabbits and even ponies. We try to make the cottages as pet friendly as possible by putting throws on all the sofas and arm chairs. The farm is a working farm but we make sure that there is always an empty paddock for our guests to let their dogs exercise freely. However due to the livestock on the farm we do ask that you close all gates behind you and keep dogs on their leads when around the livestock. We also ask that dogs are not left alone in our cottages as they can become distressed in unfamiliar surroundings. Our Information Room is open to all our guests, here you can find DVDs, board games, sports equipment, tourist information, a guest computer and Wi-Fi (with rural connection speeds). There is also a local produce stall stocked by Lower Killigorrick Farm with jams, chutneys, vegetables and meat and if you’re lucky even home-made cakes and ice cream all operating on an honesty box system. You can also arrange a vegetable or meat box for your stay. If you’d prefer not to cook on your holiday Coombe Kitchen who are based on the farm can deliver home-cooked meals and afternoon tea to your door. Prices include VAT, all heating and electricity, linen, towels, logs and a welcome tray. A charge of £21 per dog is made to cover additional cleaning costs. The dining room/conservatory can be used as a childs bedroom. There is an additional charge of £50 for a child above infant age for the bed, linen and towels. On booking we request half the rental charge, unless your holiday date is more than 6 months after the booking date. The balance is then due for payment 6 weeks before your holiday starts.